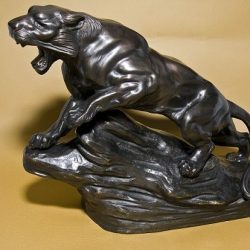 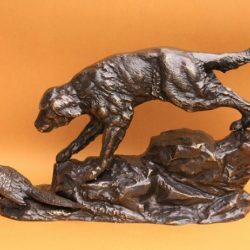 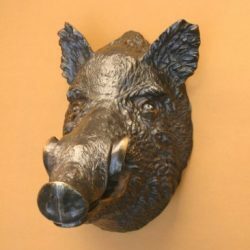 This is a nice statue of a Puma stalking in solid bronze. Puma are large American wild cat found from Canada to Patagonia. 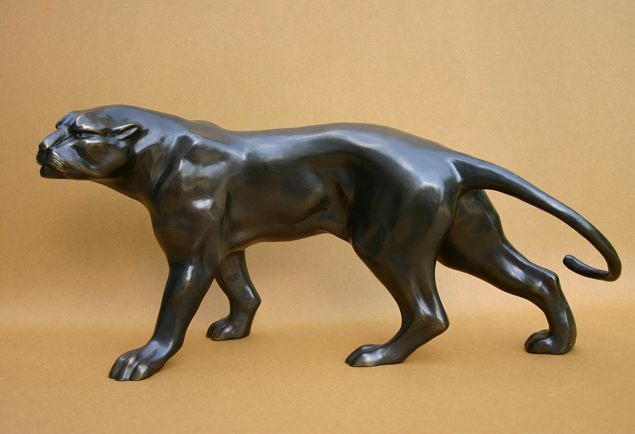 This is a large statue that weighs approx 4.3kg and is 22cm tall.